The King of Rock and Roll had a thing for Cadillacs. Presley purchased this 1968 Topaz Gold Firemist Eldorado in December of '67 and made it is his daily driver for many years. When the car didn't work properly, Presley did what any rock star would do...he shot it. 1968 Cadillac Eldorado 2-DR Coupe | eBay Motors, Cars & Trucks, Cadillac | eBay! 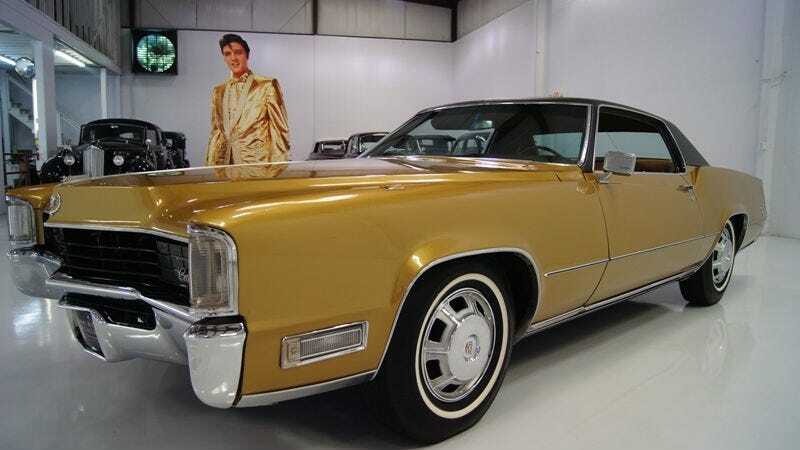 I'm not much for old Cadillacs nor am I a big Elvis fan, but if you want a cool car and a piece of rock and roll history, it doesn't get much better than this.